A WOUNDED WARRIOR. A WOMAN SEARCHING FOR ANSWERS. CAN SHE RISK ALL TO UNCOVER THE TRUTH? BLURB: Determined to unearth the truth about her DEA agent brother’s reported death, Rachel York takes a position at an historic Charleston, South Carolina, tea plantation, but she finds she is ill prepared to deal with the plantation’s new owner. Luke Barrett may be handsome, but he is overflowing with bitterness and distrust. Widowed and wounded, former Marine Corps Special Forces operative Luke Barrett has enough to handle with his little girl and an historic property to upkeep. The last thing he needs is a feisty, stubborn woman with whom to contend. Yet, Rachel’s determined spirit awakens something in Luke that he thought died a long time ago. Luke begins to capture Rachel’s heart until the night she uncovers evidence he may be keeping his plantation solvent by allowing cocaine to be smuggled along his coastline. Devastated by the possibility, Rachel must decide whether to confront him, even while she conceals secrets of her own. When all the deception rips asunder in a hurricane, will love or faith survive? 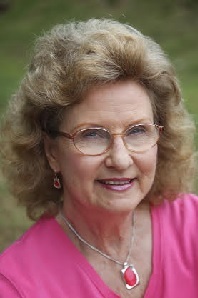 Elva Cobb Martin is president of the South Carolina Chapter of American Christian Fiction Writers (2014-2017). She is a former school teacher and a graduate of Anderson University and Erskine College. Decision, Charisma, and Home Life have carried her articles. Summer of Deception, her debut inspirational romantic suspense novel is to be released March, 24, 2017, by Pelican Books. She has also contracted an historical romance, In a Pirate’s Debt, slated for release by Lighthouse Publishing of the Carolinas in May, 2017. She has published a Bible study, Power Over Satan, available on Amazon.com, and she coordinates an internet Prayer Task Force. Elva is represented by Jim Hart of Hartline Literary. A mother and grandmother, Elva lives with her husband Dwayne and a mini-dachshund writing helper, Lucy, and a parakeet named Tweetie, in Anderson, South Carolina. She would love for you to connect with her on her social media sites. Gabrielle and three college friends must deal with a temporary setback when they are stranded in St. Clair, USA. Her holiday unravels in a series of exhilarating events. Her salvation, the handsome deputy Brady, succeeds in keeping her safe and captures her heart. Deputy Richard Brady’s peaceful life ceases when Gabrielle shows up at his door. It is his duty to keep the charming Canadian safe from the life-threatening supernatural activities, but his personal motives frighten him more than the danger itself. Will love conquer and bring them together after Gabrielle returns home? G.P. is Canadian. A wife and mother of three who works in school bus transportation. In her last year of high school, she enjoyed writing a weekly column published in the French newspaper in her home town. Writing took a back seat for years and now that her children are grown, it’s become her favorite hobby. Entertaining others is like breathing – it is part of who she is.